Ophthalmic Optics is a branch of science that deals primarily with the structure, function and the working of the human eye. Optometry is generally concerned with the examination, diagnosis and treatment of eyes especially related to visual, optical symptoms, refractive errors and their correction, using lenses and other optical aids. The scope for optometric practice in Nepal and abroad is increasing in a great pace. Optometry is a dynamic and challenging profession which could help you achieves not only personal growth and community respect but also, offers job flexibility, financial success and unlimited opportunities over time. Optometrists or optometry physicians are primary eye care and health professionals concerned with vision care and functioning or the eyes. They are experts in determining one’s refractive error and prescribing appropriate correction for those errors. Optometric physicians deal with various conditions related with eye and visions using various expertise and techniques such as vision screening (eye testing), diagnosis of visual problems, orthodontics and vision training, counseling of patients with partial sight, color blindness and hereditary vision defects, and designing and fitting of spectacles, contact lens and low vision aids. 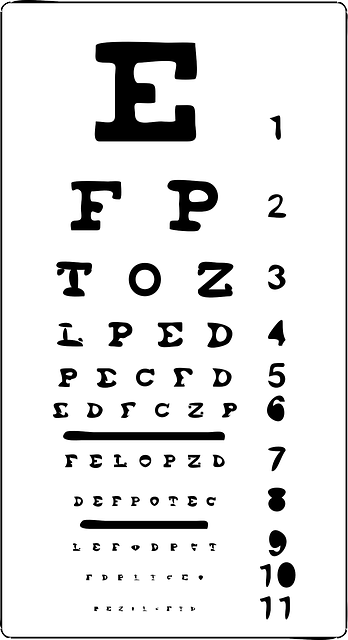 Optometrists also prescribe Vision therapy eye exercises to patients complaining of Visual symptoms such as squint etc. Optometry goes hand in hand with Ophthalmology in the treatment of Visual disorders so Optometrists are often confused with ophthalmologists or dispensing opticians. But it should be kept in mind that optometrists and ophthalmologists are two different expertise. An optometrist performs all the tasks of an ophthalmologist except eye surgery. Ophthalmologists (Eye M.D’s) are trained physicians specialized in eye and vision care who perform eye surgery, as well as diagnose and treat eye diseases and injuries. So there is a difference in the level of knowledge and scope of treatment between optometrists and ophthalmologists. At least 50% in aggregate in certificate Final Examination (I. Sc. With Biology) from Tribhuvan University or 10+2 with Biology recognized by Higher Secondary Education Council, Nepal or A level or equivalent. Age of student should not be above 25 years. The candidate should pass the entrance examination held by Examination Control Division of Institute of Medicine Tribhuvan University. Candidates will be admitted according to the number of seats. B Optometry course is of 4 years duration. The four year is divided into theoretical classes of first 3 years and an internship of final 1 year for clinical and trade experience. The optometry course covers a wide variety of subjects, including physical optics, knowledge of optical instruments, general anatomy, physiology, abnormal and pathological conditions of the eye and the methods to measure refractive errors and their correction. Courses in pharmacology, optics, vision science, biochemistry, and systemic disease are included in the curriculum. There will be practical training in Basic Science, Dispensing Optics and Clinical subjects. The fourth and final year is internship where the students are posted at various hospitals and specialty eye clinics and Optical establishments for clinical training and hands-on practice. Optometrists are trained professionals involved in the treatment of visual defects with the help of optical instruments. They conduct eye tests to examine a patient’s vision and prescribe eyeglasses and contact lenses and provide vision therapy and low-vision rehabilitation. Apart from these, they also operate machines for work such as polishing edges, hardening and adjusting the sizes of lenses. To manage any optical trade including primary dispensing of spectacles, a professional education in Ophthalmic Optics (Optometry) is essential. It is a profession which offers job flexibility, regular working hours and financial stability. After completing the course on Optometry, an Optometrist has various career opportunities. They can establish an independent practice by starting their own eye clinic, optical shop, lens manufacturing unit etc. They can work with Optician showrooms, Eye doctors, Contact Lens and Ophthalmic lens industry, hospital Eye departments etc. Optometrists can also seek employment with any multinational organization dealing with eye care products as professional services executives or take up teaching as a career. They can pursue higher education or can go for further research in the field of Optometry. Optometrists could also take up the work of occupational health specialists in the vision care of industrial workers. Optometry is one of the top ten income-earning professions in the country today. An optometrists earning is determined by several factors including coverage under provincial medical programs, fee schedules, hours worked, practice location, services provided and patient population. The initial salary of an optometrist in a government firm is about Rs. 20000/- or above plus other allowance. Salaried optometrists tend to earn more initially than optometrists who set up their own practices. However, ultimately those in private practice once established usually earn more as in other medical professions. If you want to know more about the Optometry Course or have any further queries/questions regarding the course please feel free to drop an email to us at admin@studentsnepal.com. How much should be the grede.?? Students with grade c can also get a chance for this course.?? apart frm kathmanadu valley ….where can we get the facilty of enrolling bachelor degree in optometry classes ?